GOOD EARTH BUILDERS, LLC is a general contracting company founded in 2012 by Joshua France to meet the demands of his growing business after eight years in operation as a sole proprietor. Joshua began his career as a custom carpenter in Cape May, NJ before relocating to Philadelphia, PA, steadily expanding his home remodeling business to focus on complete transformation and revitalization of properties and building new construction homes in historic districts of Philadelphia. Quality of life is essential in GOOD EARTH BUILDERS, LLC design and build process. We pride ourselves on tailoring unique living spaces to meet our clients’ needs. 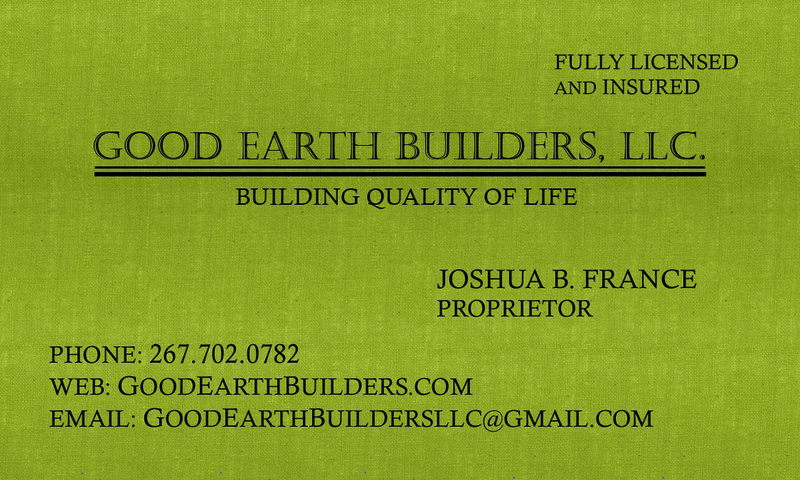 GOOD EARTH BUILDERS, LLC. will be building a new construction home in a historic section of Fairmount. Please watch for updates as the existing structure is removed and building begins! The project has been mentioned in a post on OCF realty’s blog (which gets credit for photo below). Encapsulated since a fire destroyed this home in the late 1980’s, 407 Cross St. will undergo complete renovation by GOOD EARTH BUILDERS, LLC. Quality of life is essential in GOOD EARTH BUILDERS, LLC. design and build process. We pride ourselves on tailoring unique living spaces to meet our clients’ needs.